How Much Do Project Managers Make? Whether you’re considering a career in project management or preparing for a pay raise negotiation, understanding the salary landscape can help you make informed decisions about your future. So we thought we’d help you do your homework by providing a brief snapshot of average project manager salaries across several key factors. There are lots of sources for project manager salary info out there, and they all provide different data. Here’s a quick overview of where we got the numbers for the infographic and why. 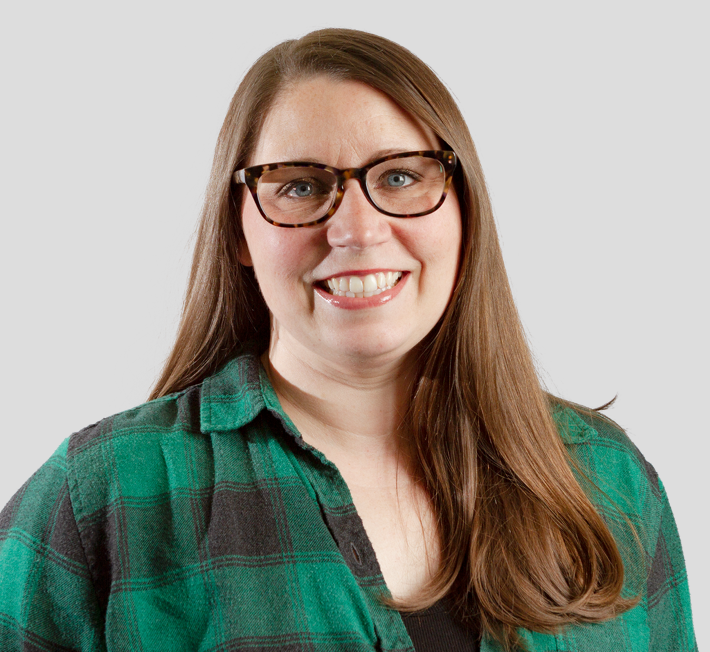 Project manager salary by job title, industry, and location: We decided to go with Glassdoor for the basic salary stats because it provided a singular source for all the variables we wanted to cover with a big pool of data. Project manager salary by PMP certification: We looked to the Project Management Institute’s (PMI) annual salary survey for PMP salary data since they’re a standard resource for PMP info in the industry. 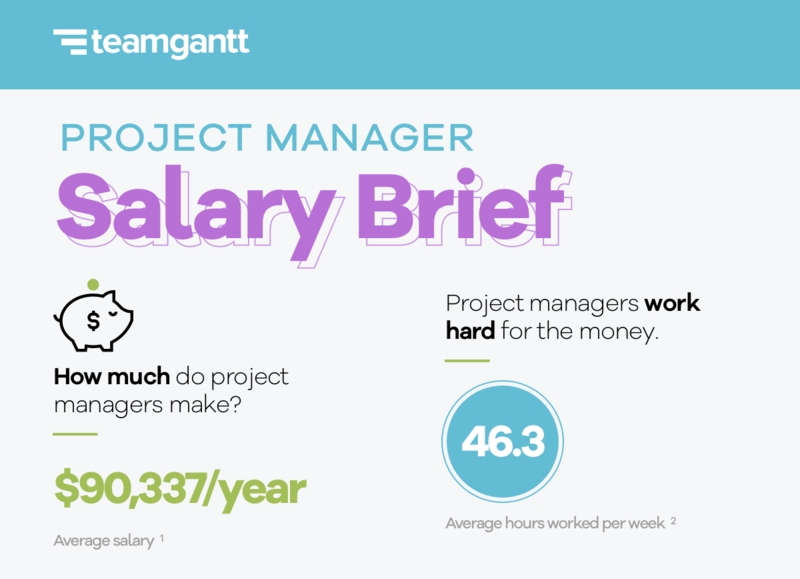 Download the Project Manager Salary infographic here. The average project manager puts in more than the typical 40-hour week and brings home just over $90,000. It’s important to note that this average project manager pay covers a broad spectrum, and lots of different factors play into your salary. Let’s take a closer look at how your salary might be affected by your career path, type of work, location, and PMP status. How does your job title affect your salary range? 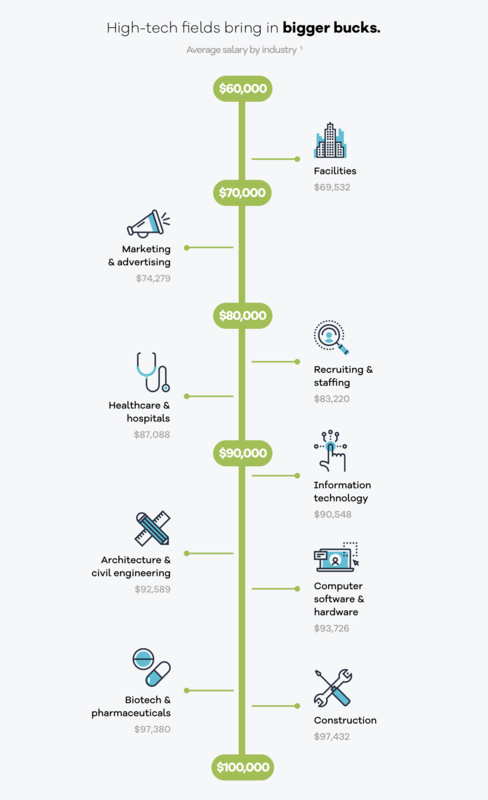 What’s the average pay for project managers across industries? Should you go into IT, marketing, healthcare, or construction project management? If you’re just starting out in your career, you’ve got lots of options. It helps to get a sense of which industries provide better pay opportunities for project managers. Of course, money should never be the only deciding factor in big life decisions. You should love the work you do too. But here’s how different sectors stack up for project managers in general. These numbers will vary based on your career level, but this gives you a basic idea of where you might land depending on the field you choose. 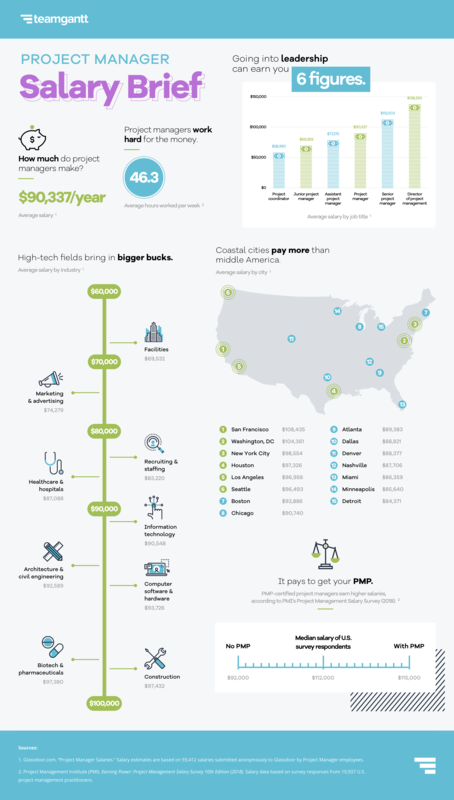 How do project manager salaries compare across major U.S. cities? 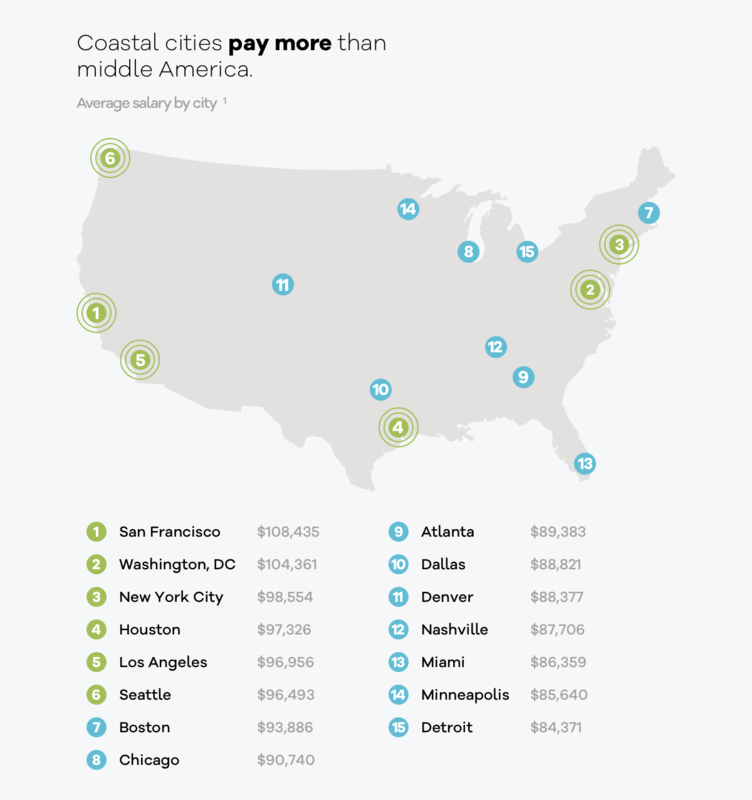 It’s no surprise that where you live impacts your salary potential. We picked a few popular metropolitan areas across the U.S. to see how average project manager salaries compare. One trend that caught our eye was that project manager salaries in major coastal cities tend to rise to the top. Just keep in mind that cities like NYC, San Francisco, and Seattle also have a higher cost of living. Do your research before packing up and moving cross-country to chase the big bucks. 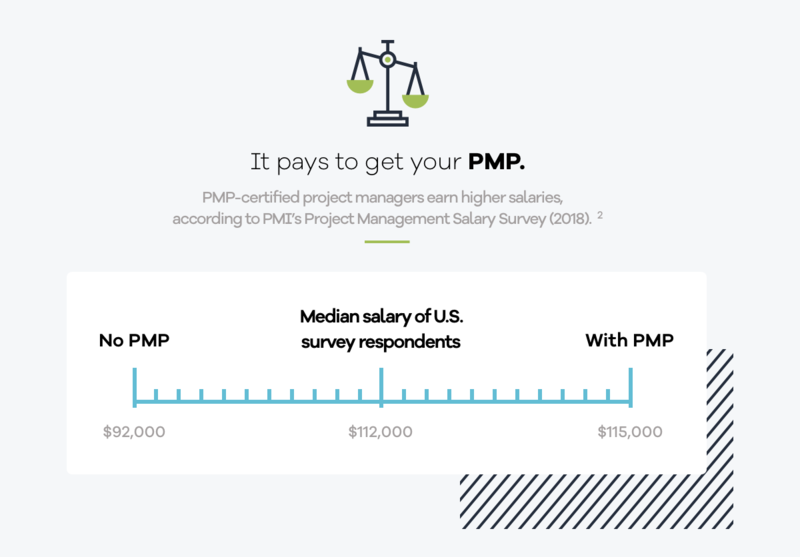 Does being a PMP-certified project manager affect your salary? If you don’t have PMP certification yet, you might be wondering whether it’s worth it. 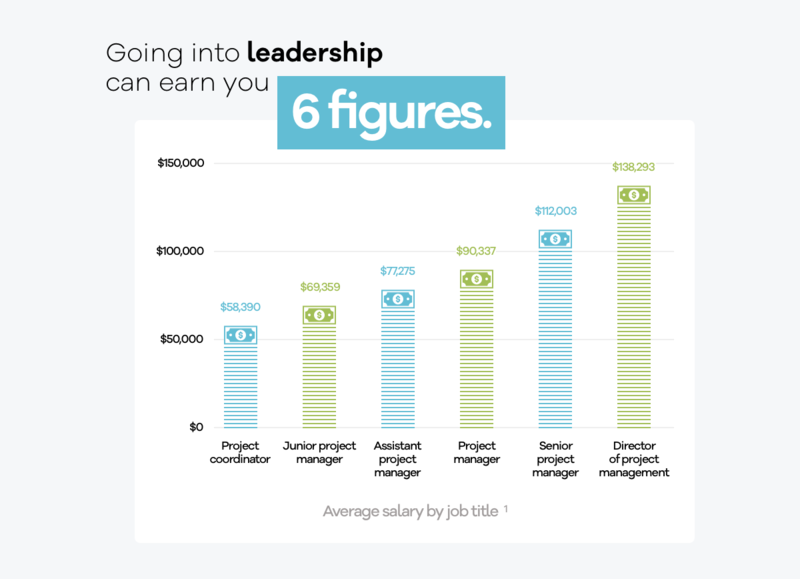 PMI’s 2018 Project Management Salary Survey shows that earning your PMP can give you a leg up as a project manager. Want to better your chances for a salary increase? Worry less about what everyone else is making, and focus more on continuing to improve yourself. 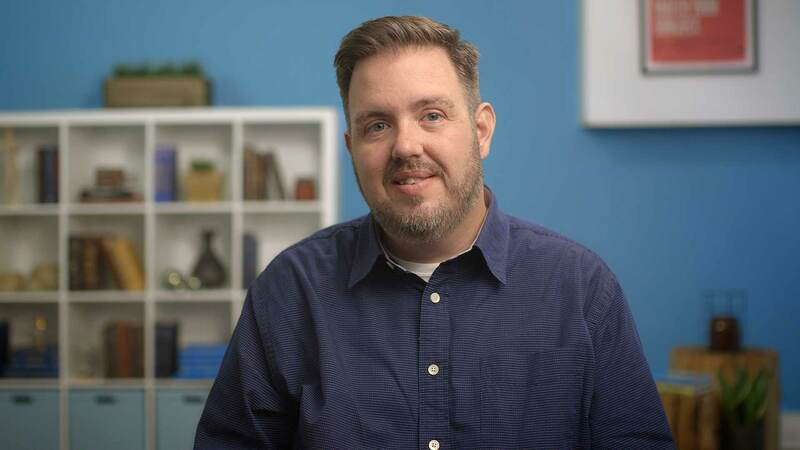 Our free video course The Art and Science of Leading Projects and online project management classes are both great places to start. You can also prove your worth by using a project management tool that makes it easy to track project success and share your wins with others. With TeamGantt, you’ll have all the features you need to ensure projects finish on time and under budget. Watch the video below to see how TeamGantt works, and give our online project management software a free try today! Glassdoor.com. “Project Manager Salaries.” Salary estimates are based on 93,412 salaries submitted anonymously to Glassdoor by Project Manager employees. Data accessed December 17, 2018. Project Management Institute (PMI). Earning Power: Project Management Salary Survey 10th Edition (2018). Salary data based on survey responses from 10,937 U.S. project management practitioners.